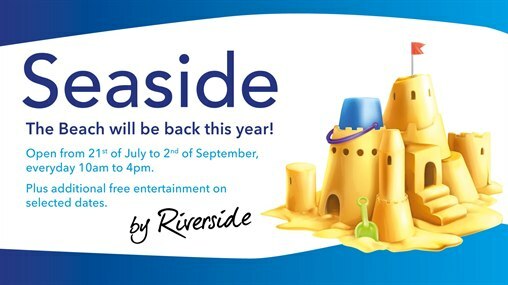 Seaside #byRiverside is returning in Summer 2018. From 21st July come down to enjoy the fun in our beach everyday from 10am-4pm. Free storytellling with Waterstones at 11am on Wednesday 1st and 14th August. Children will be able to make coasters to take home with them. Children will be able to fill Unicorn and Dinosaur bottles with different coloured sand. Children will be able to colour in and decorate football medals and stickers. Children will be able to paint and decorate Unicorn money boxes. Children will be able to paint Rocket Suncatchers in the centre.